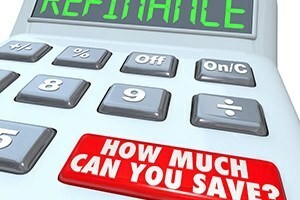 Home buyers and homeowners often face challenges when they seek a mortgage or refinancing. No matter your situation, it is important that you understand the terms of any loan connected to your property. The real estate lawyers at Pulgini & Norton advise Boston individuals who are in the market for a mortgage or refinancing. Our attorneys can evaluate your options and discuss how the terms and conditions of your loan could affect you. Home mortgages and refinancing transactions have long-term financial and legal implications that could affect your ability to keep the property. Buyers almost always need a mortgage to finance the purchase of real estate. Most people will get pre-approval for a mortgage to get a sense of how much they can afford. Pre-approvals, however, are subject to the verification of certain information. Before giving you a mortgage commitment letter, a lender will first investigate your employment, income, and assets. It will also appraise the property and order a title search. If the process goes smoothly, the lender will issue a mortgage commitment letter detailing the terms of the loan. If, however, there are conditions that you could not meet, it may either refuse to commit to a mortgage or give you a loan at a higher interest rate. If you are a homeowner, you may consider refinancing your existing mortgage to take advantage of lower interest rates, reduce your monthly mortgage payment, or use the equity in your home for another purpose. Refinancing requires a process that is similar to getting a mortgage, involving a credit check, title search, property appraisal, and similar matters. Since the process can be both lengthy and expensive, you should generally consider refinancing only if the new interest rate will significantly reduce your monthly mortgage payment. In both home mortgage and refinancing loans, the property acts as collateral. A lender, such as a bank, will loan you the money to purchase the real estate or pay off the existing mortgage. You agree to pay back the loan with interest over a set period of time. If you do not pay back the loan under the terms of the agreement, the lender has the right to foreclose on the property. The mortgage, which is the lender’s security interest in the property. While a mortgage broker can explain the financial terms of a loan, you should understand its legal implications. For example, your home mortgage may have a pre-payment penalty, which could affect your ability to refinance it later. The closing is where the conveyance of interest in real property occurs. It involves the preparation and understanding of critical legal documents, including the deed, note, and mortgage. State law requires that a Massachusetts attorney oversee the closing process and the closing itself. A legal professional can ensure that any defects to the title have been resolved, handle the distribution of the mortgage proceeds, record the necessary documents, and discharge the prior mortgage. We can assist in the preparation of the necessary documents prior to the closing as well as handling the actual closing. At Pulgini & Norton, we advise home buyers and owners in a wide range of real estate transactions. Our experienced property attorneys can help you obtain or refinance a mortgage in Boston or the surrounding area with terms that suit your needs and goals. If you are looking to finance the purchase of a home, or if you want to refinance an existing mortgage, we can help you review your options and the relevant documents to give you a better understanding of their legal implications. We represent individuals in Braintree, Hyde Park, and Andover, among other communities throughout Massachusetts. Call our office today at 781-843-2200, or contact us using our online form, to schedule a consultation.